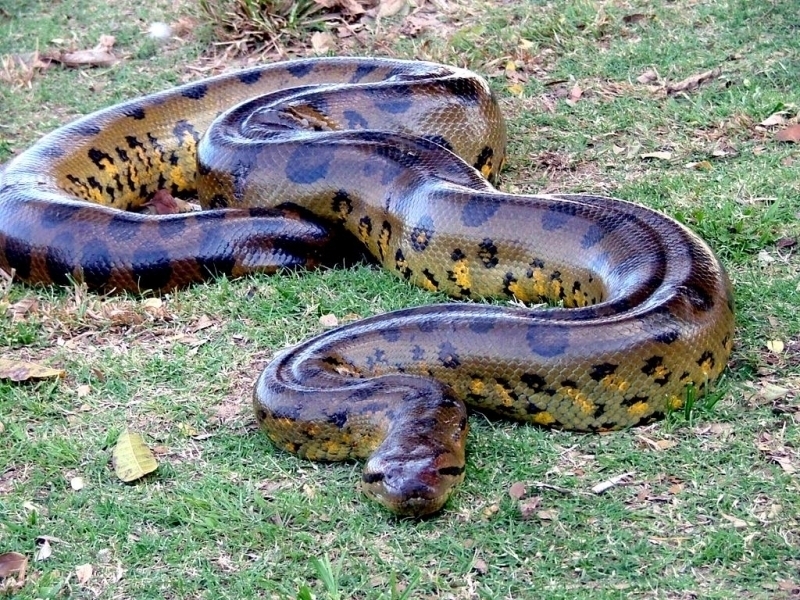 Anacondas are the largest & heaviest known snake on our planet judging by weight, though the Asiatic Reticulated Python is longer. 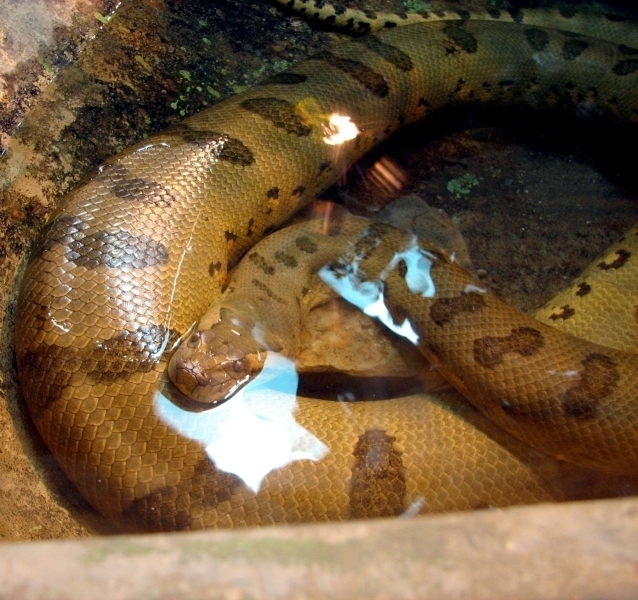 Anacondas can grow up to 29 feet (9 meters) long, weigh up to 550 pounds (250 kilograms) and measure 12 inches (30 centimeters) in diameter. 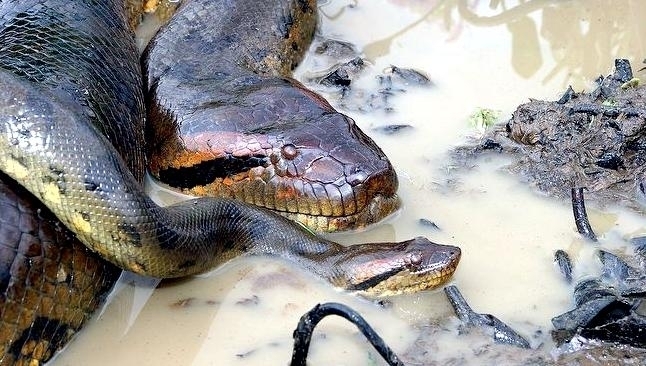 This large girth means that Anacondas can eat large prey like tapirs, deer, sheep, dogs and occasionally jaguars or humans in addition to smaller prey. 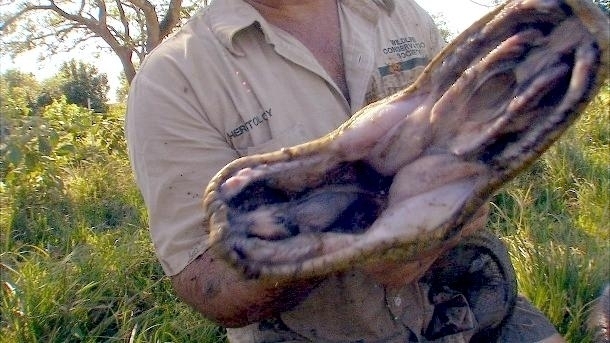 It kills its prey by wrapping around them and squeezing, suffocating them. 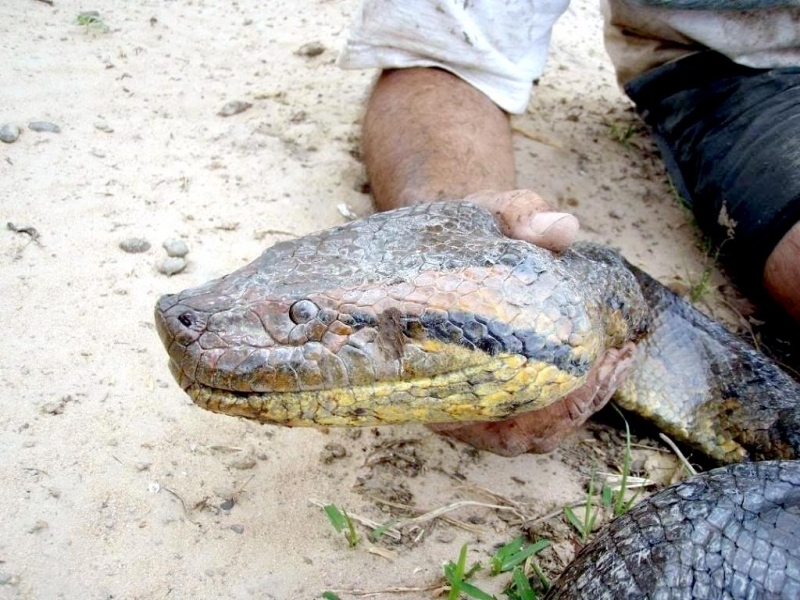 They can be found in tropical rain-forests, lakes and swamps of South America. 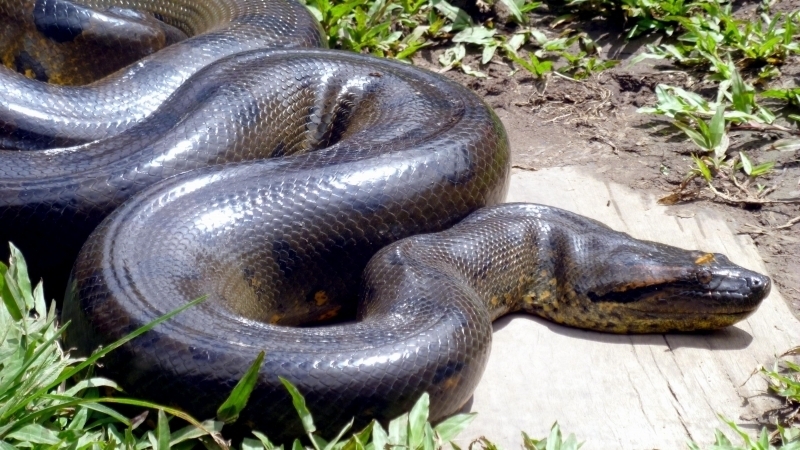 Anacondas are especially numerous near Amazon & Orinoco rivers. 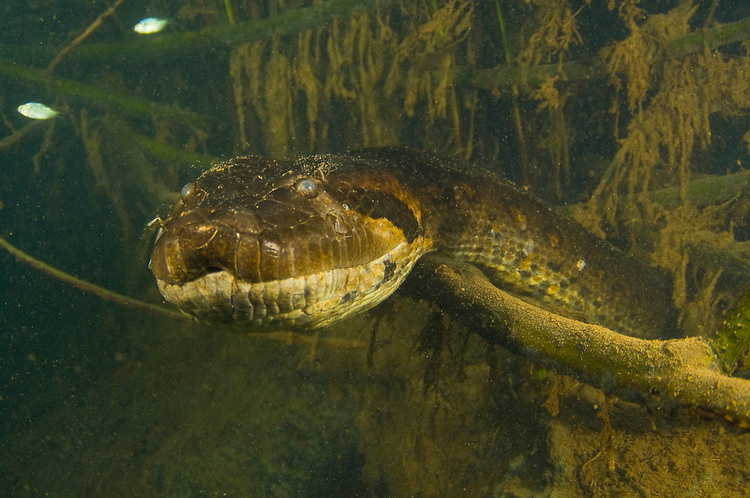 Although they are large in size, scientists can’t find them easily because they hide in the water. 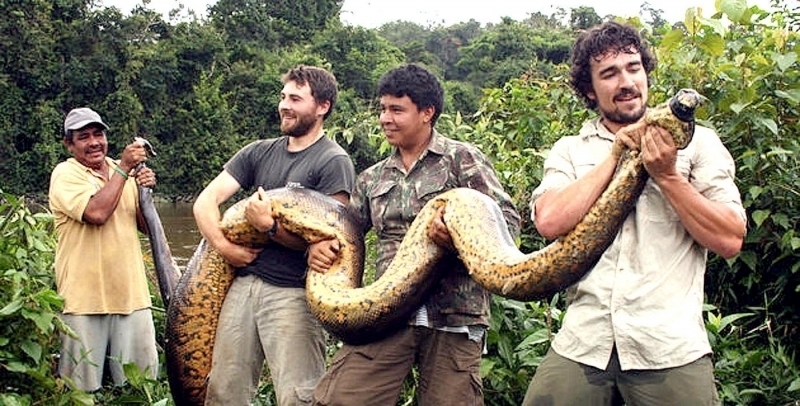 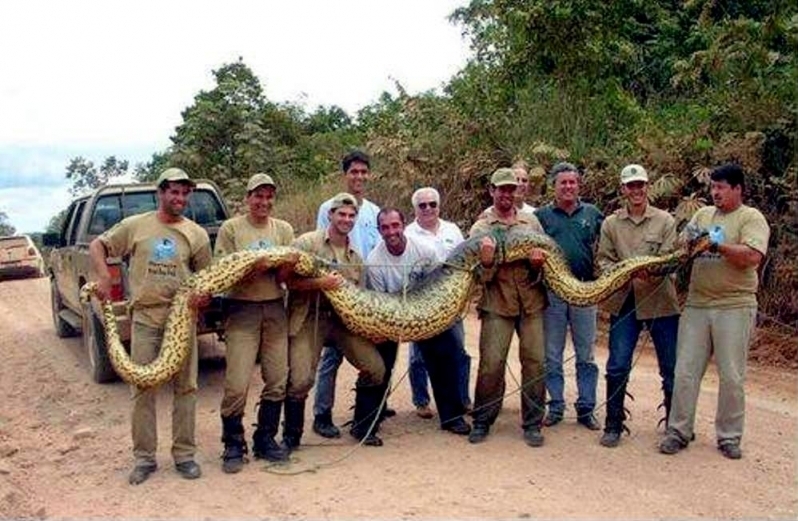 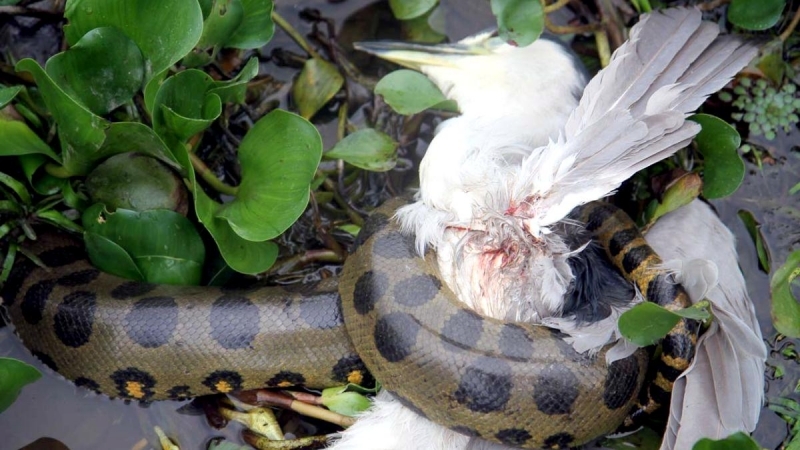 People hunt Anacondas because of their skin which is highly appreciated in the fashion industry. 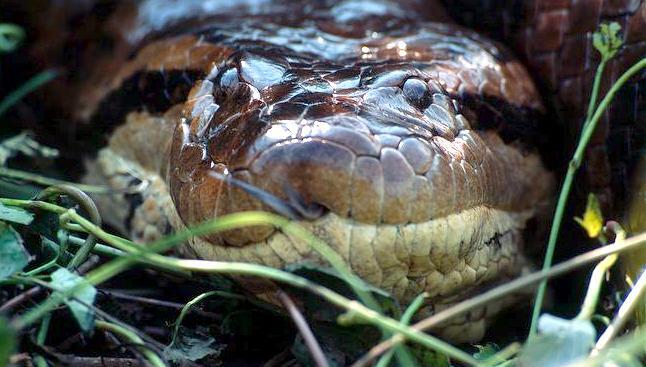 Found in a plethora of colors, the Anaconda is hailed as one of the protectors of Amazon Rain Forests by the locals. 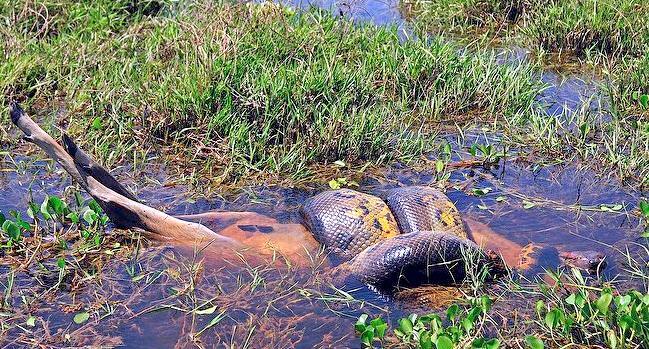 Also known as the Water Boa, the word Anaconda has been derived from the Tamil word “anaikolra” which means “elephant killer” while some believe that the term has its roots in Latin “Eunectes” meaning “good swimmer”. 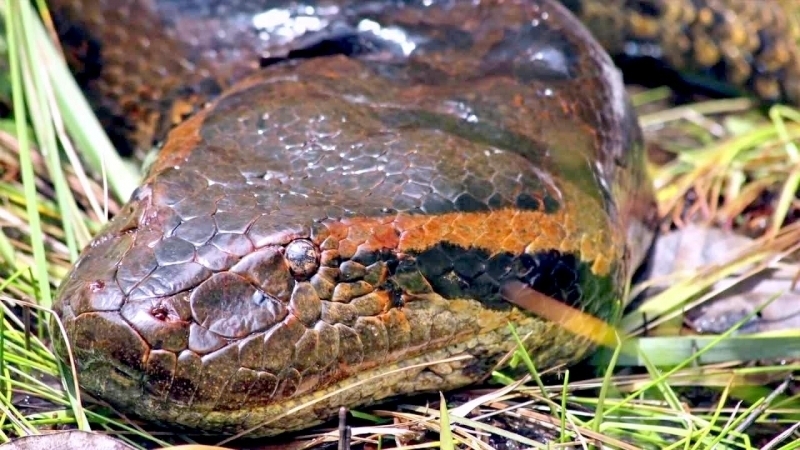 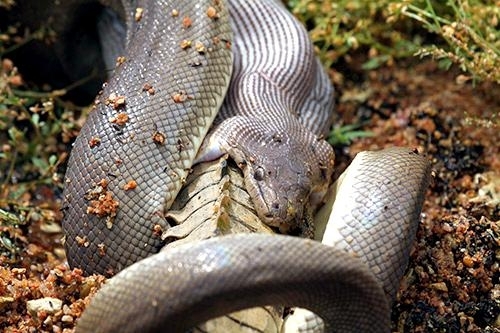 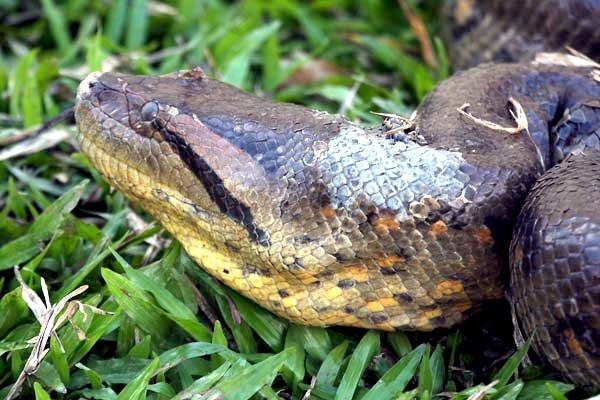 It is uncertain how a word from the island of Sri Lanka near India came to be applied to a snake that lives in the Amazon basin of South America, though it may be because of the Anaconda’s similarity to Asian Reticulated Pythons. 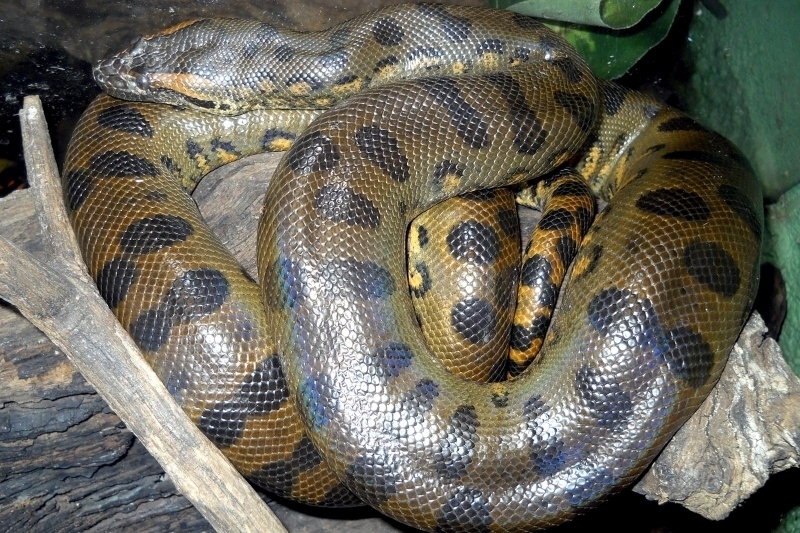 Anacondas are of 4 different kinds: Green Anaconda, Yellow Anaconda, Dark-spotted Anaconda and Bolivian Anaconda. 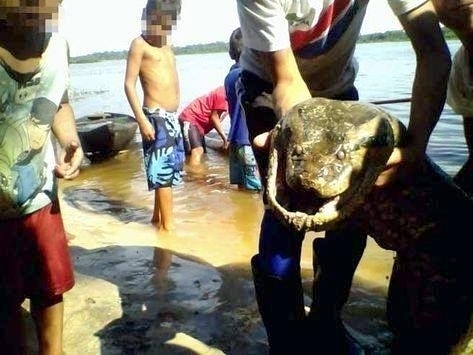 Native to the Amazon basin jungles of South America, these huge creatures can be sighted in eastern Bolivia, Paraguay, southern Brazil and northeastern Argentina. 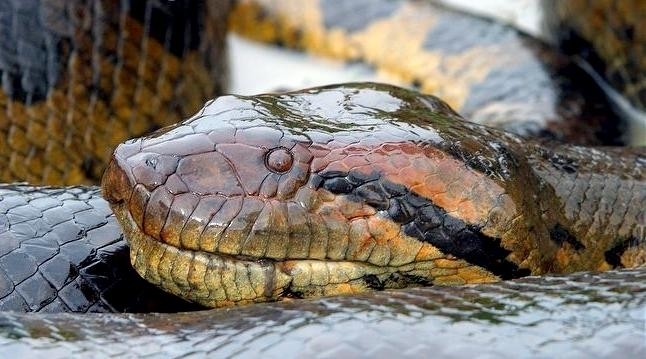 Taking length & weight into consideration, the Green Anaconda is the largest snake in the world, weighing around 550 pounds (227 kilograms) and measuring 30 feet (9 meters). 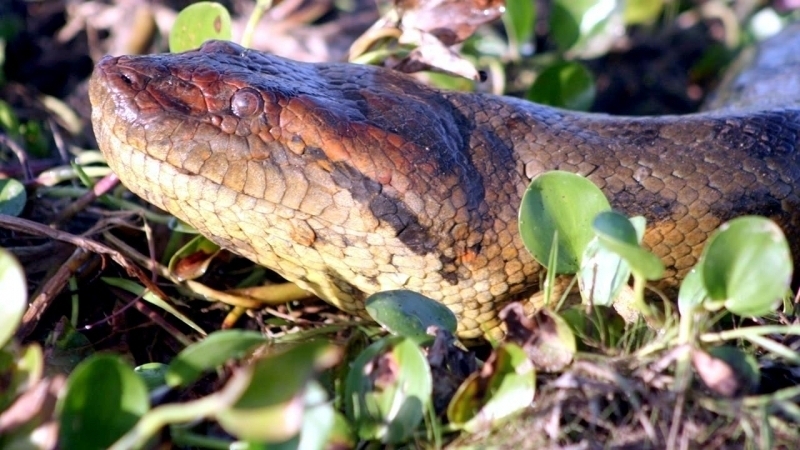 The nostrils of an Anaconda are located on the top of its snout, allowing it to breathe with the rest of the body staying submerged in water. 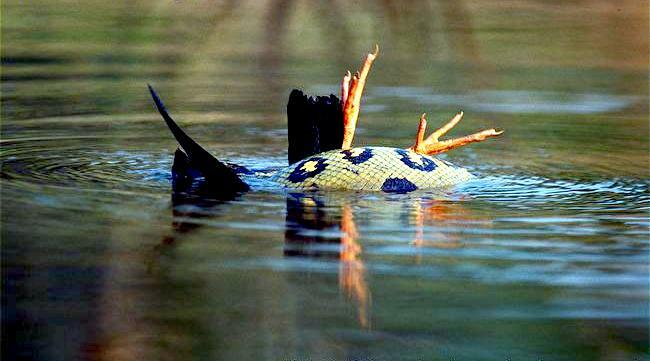 The Anaconda can remain submerged under water and wait for its prey for as long as 10 minutes before it springs up and breathes again. 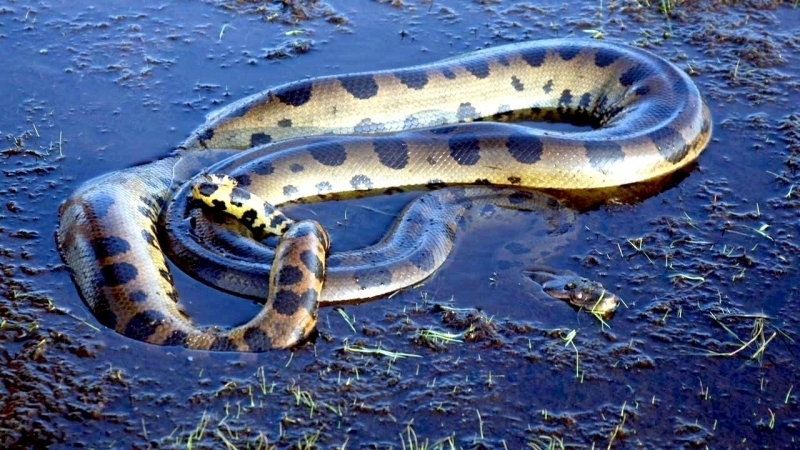 Although the Reticulated Python can grow longer than the Green Anaconda, but the latter is much heavier & larger than the former. 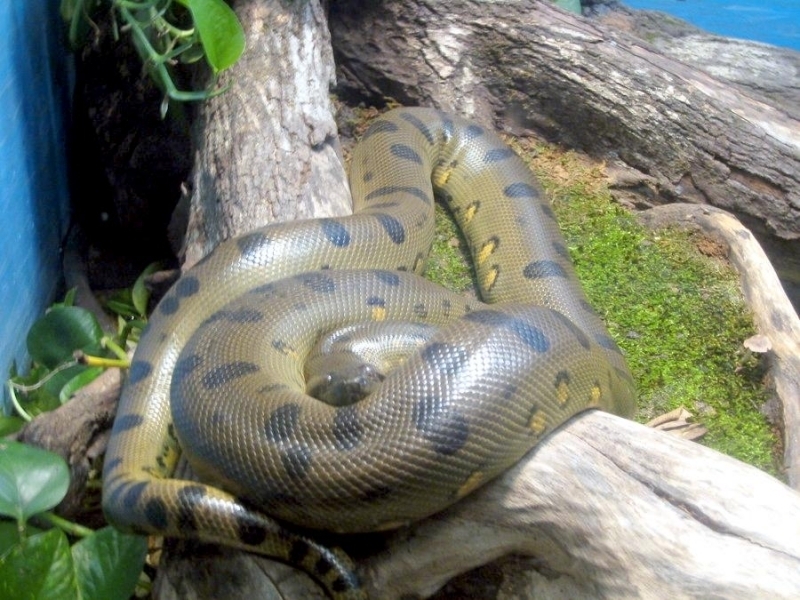 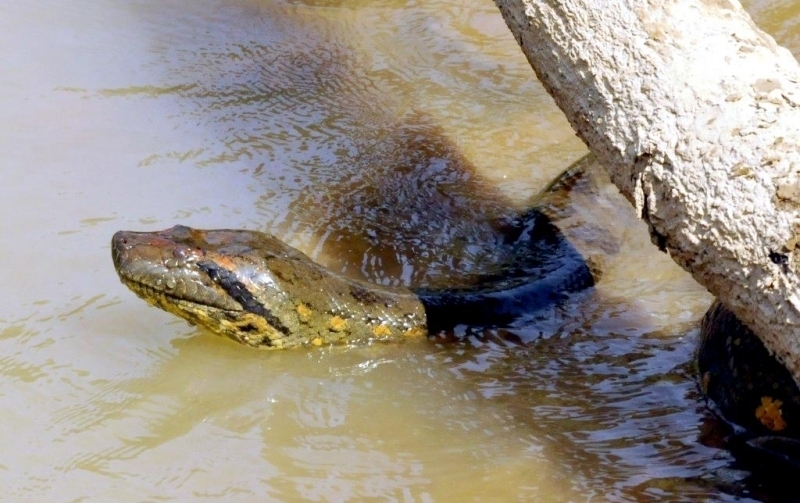 The Green Anaconda falls under the category of constrictors. 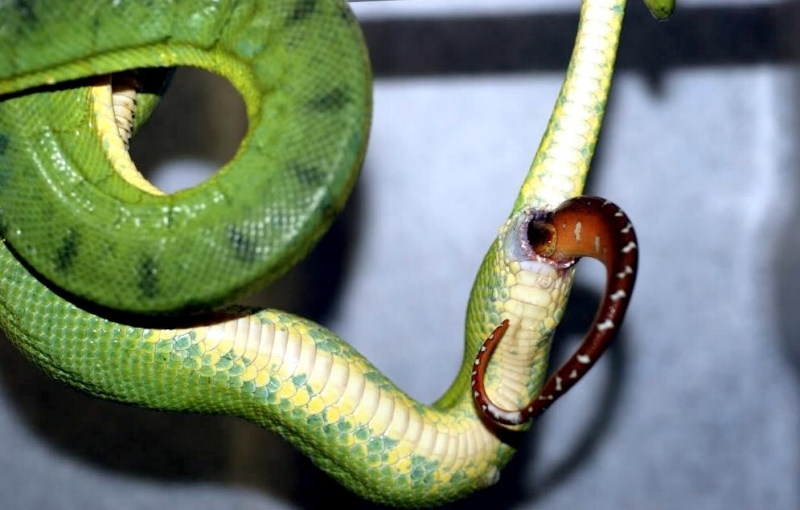 They do not kill their prey by inserting venom through fangs like most snakes do. 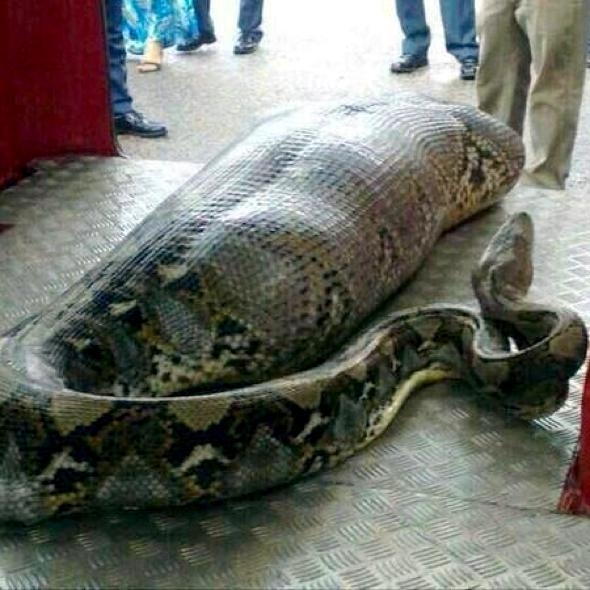 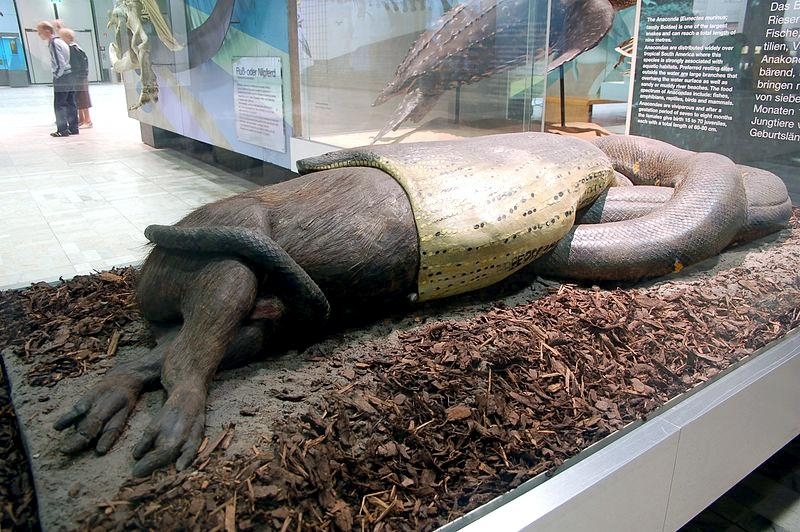 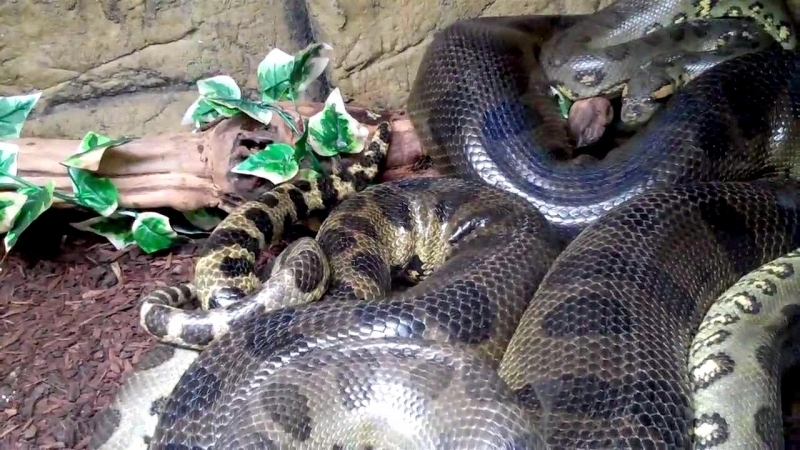 Anacondas wrap their bodies around their prey and squeeze until it stops breathing. 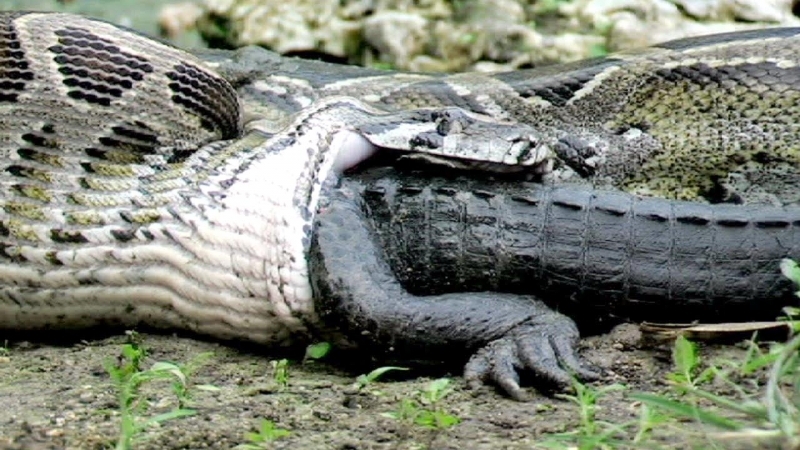 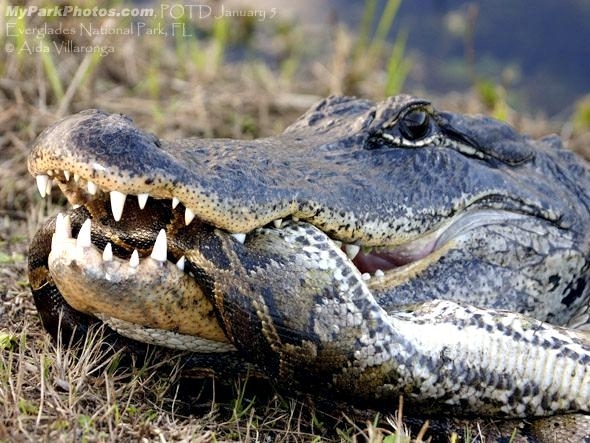 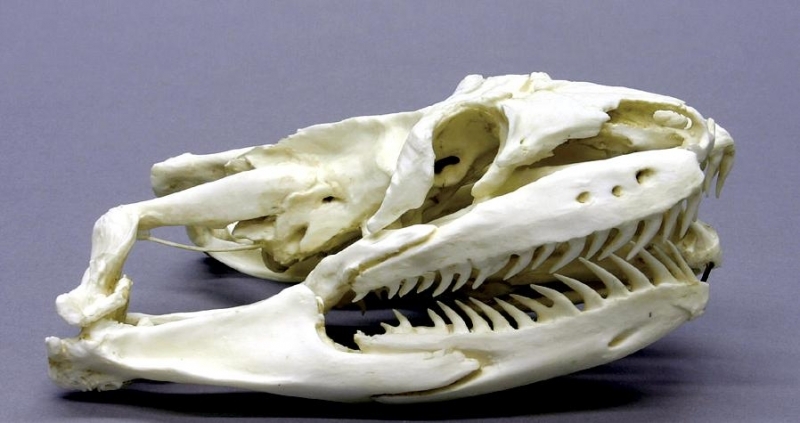 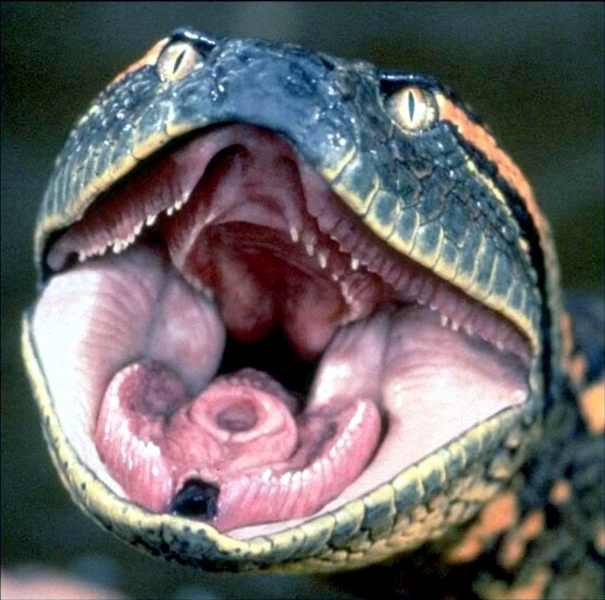 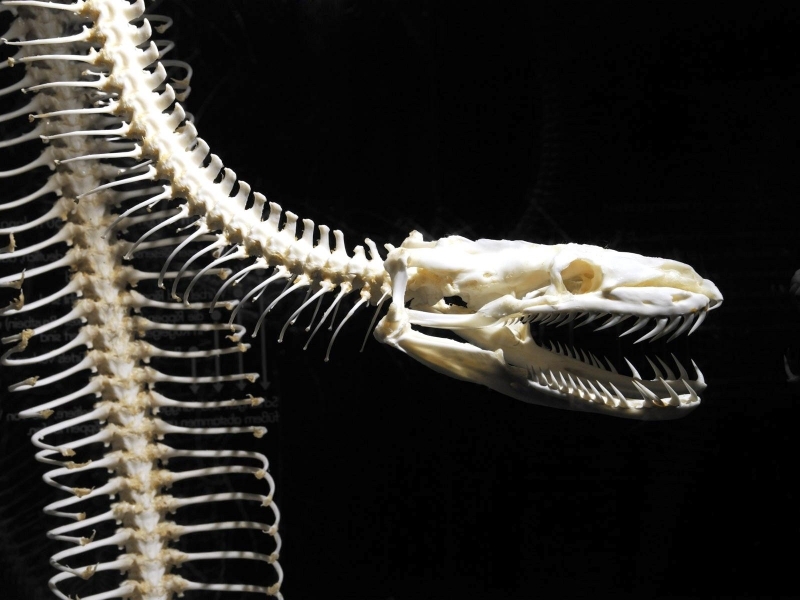 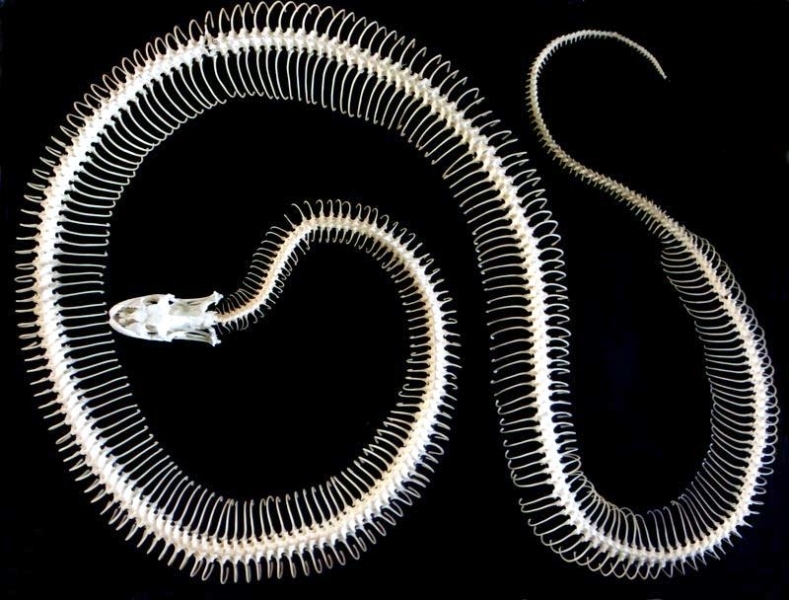 In the process, most of the prey’s bones are broken, thus making it easier for the reptile to swallow it in. 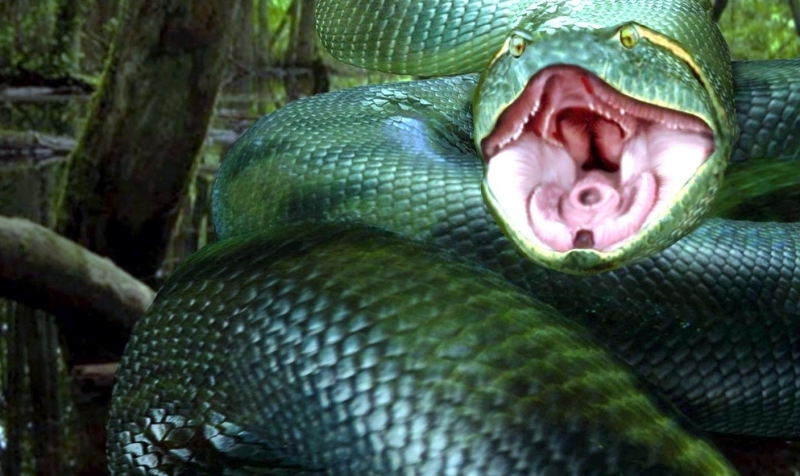 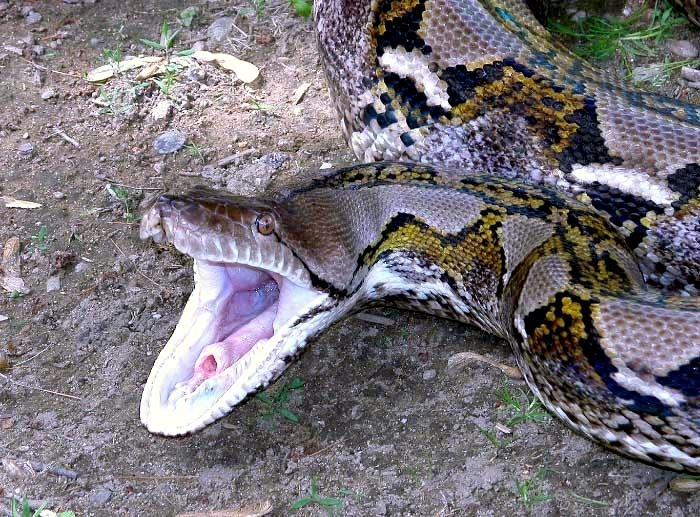 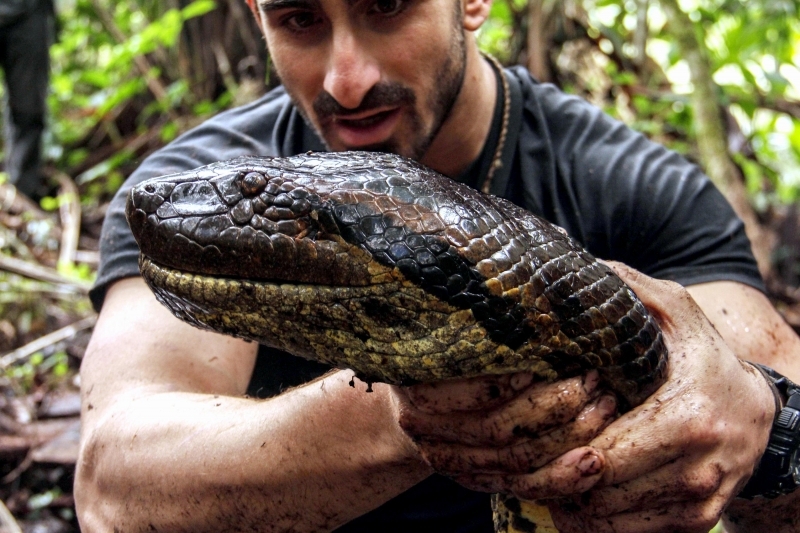 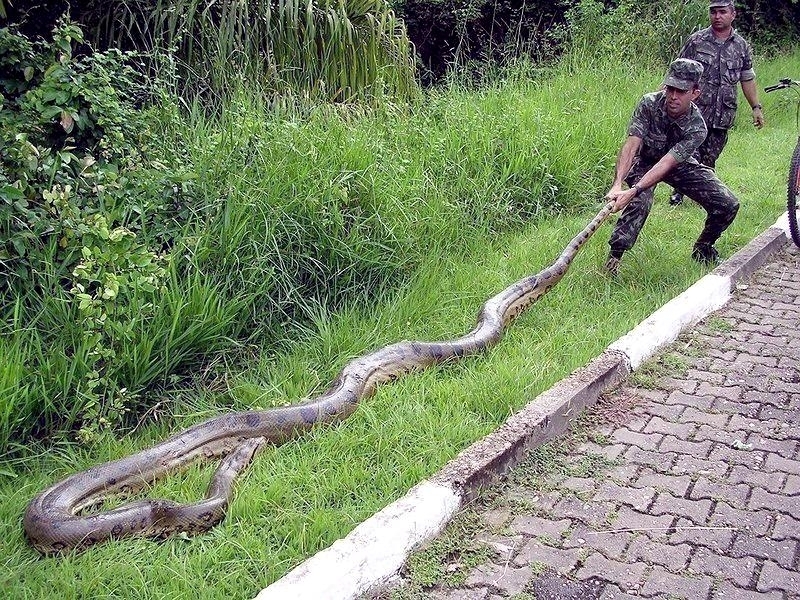 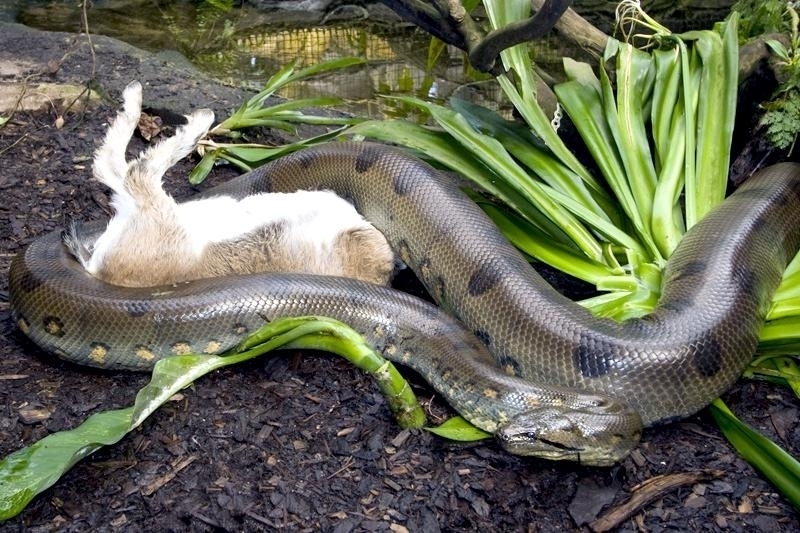 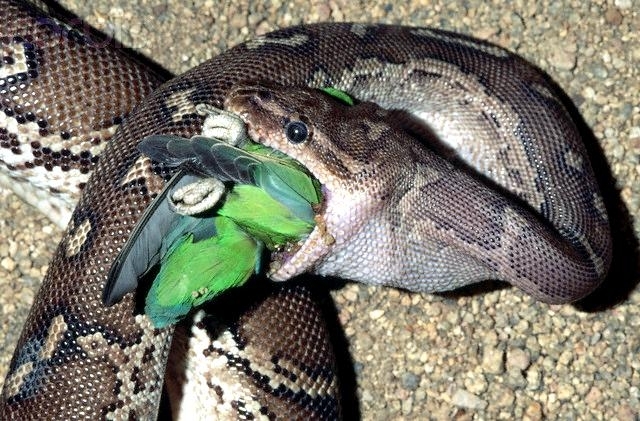 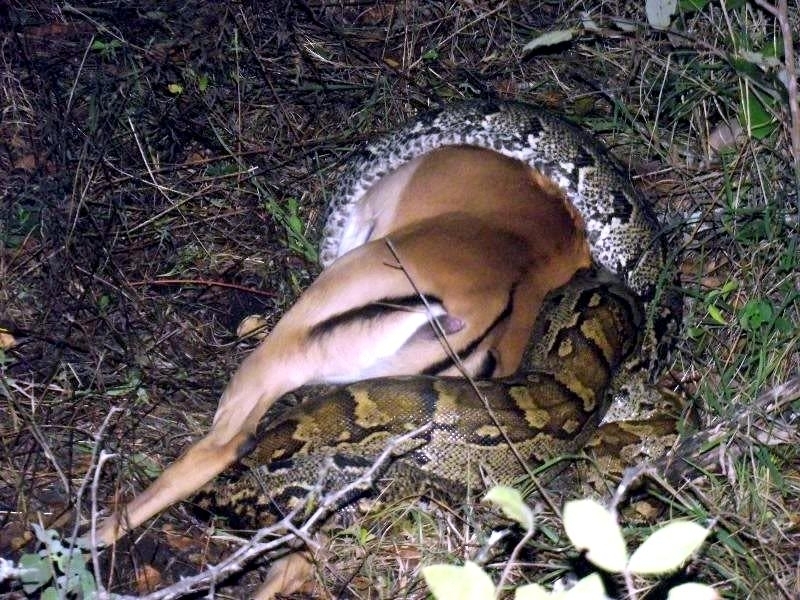 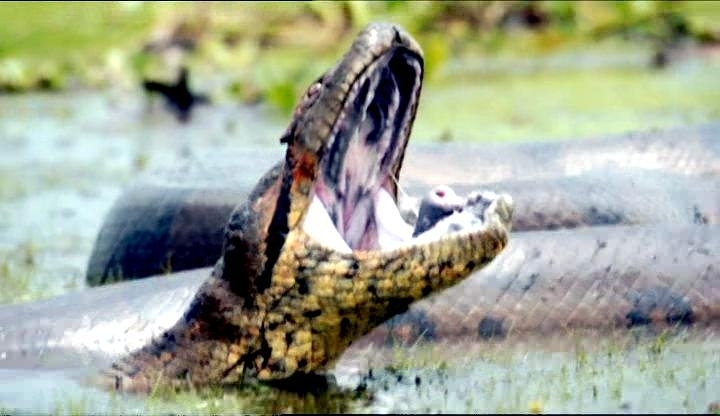 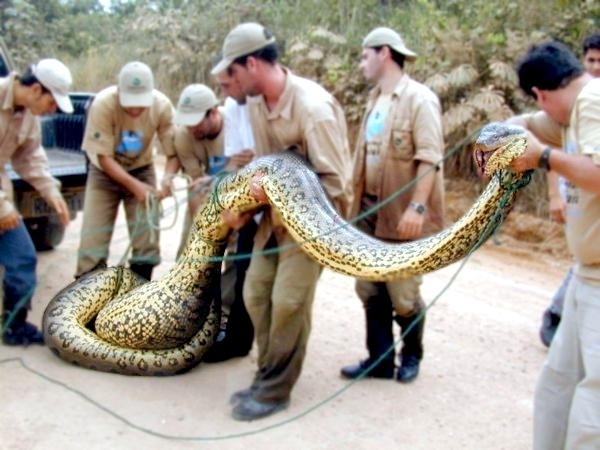 The Anaconda can open its mouth large enough to swallow its victim whole, with the victim being as big as a deer. 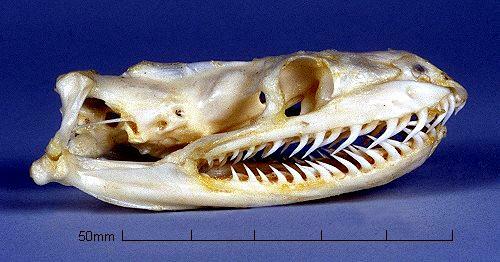 The stretchy ligaments in an Anaconda’s mouth hold its jaws together and assist it to open its mouth wide open to swallow its prey whole. 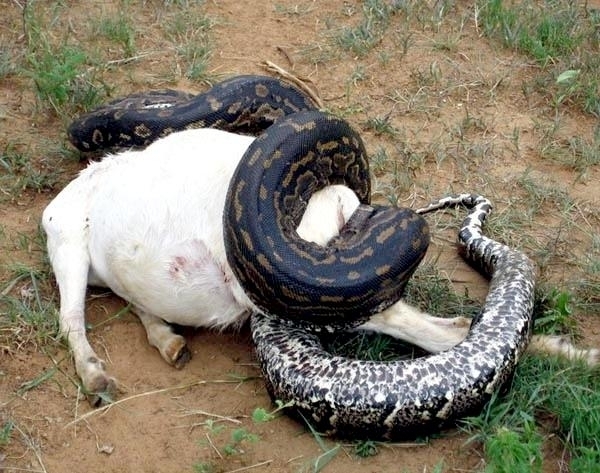 Experts state that the Anaconda is the only predator naturally strong enough to prey on a Jaguar. 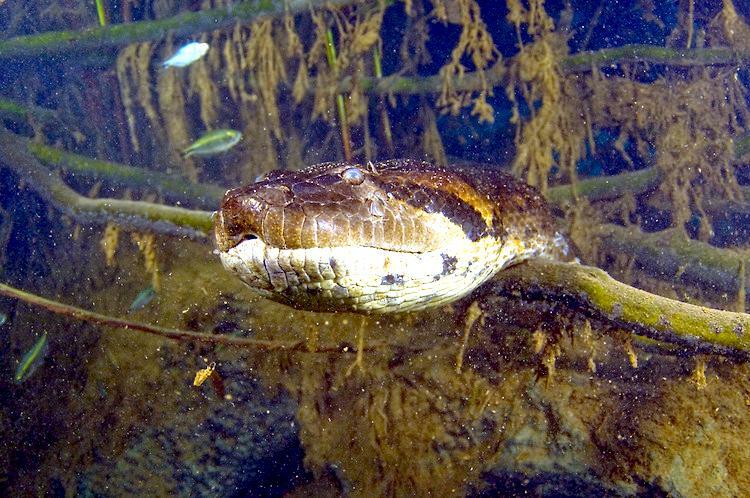 Anacondas are active at night and can hunt on both land & water, though they are more comfortable in water since it provides them with more maneuverability and makes them feel less bulky. 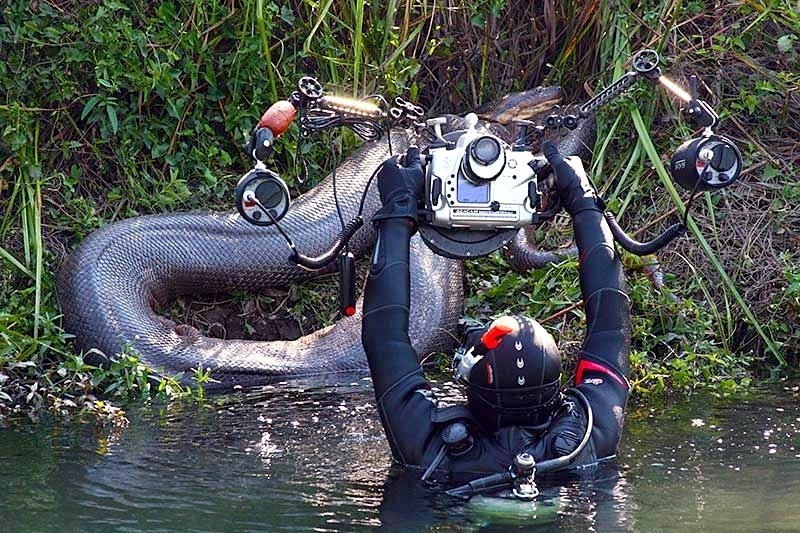 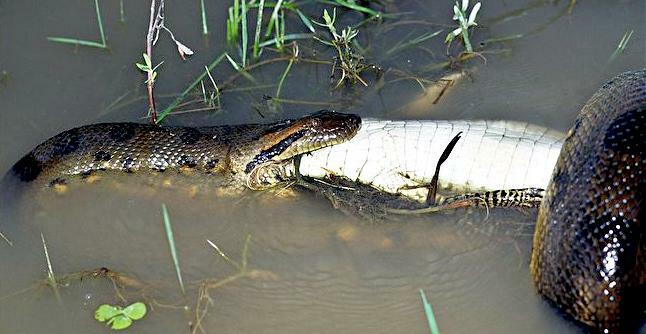 Anacondas are proficient swimmers. 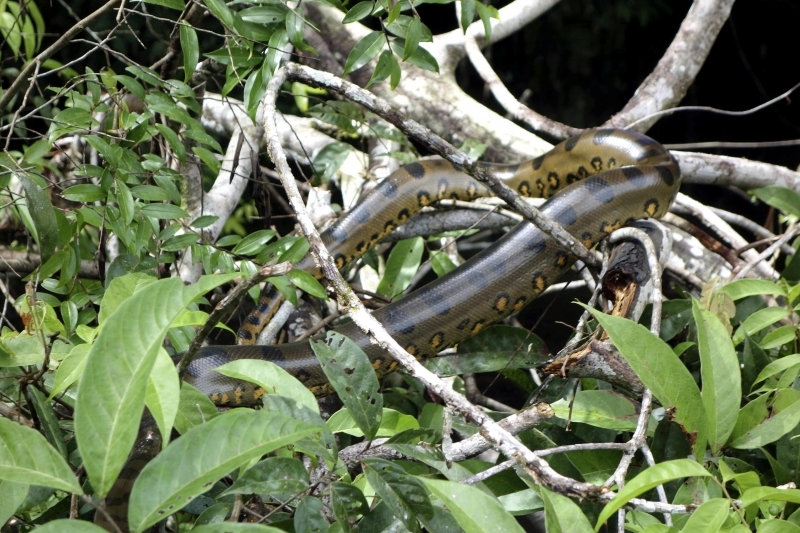 They can often be seen in forests hanging from the branches of small trees to dry off their skin in order to maintain their body temperature. 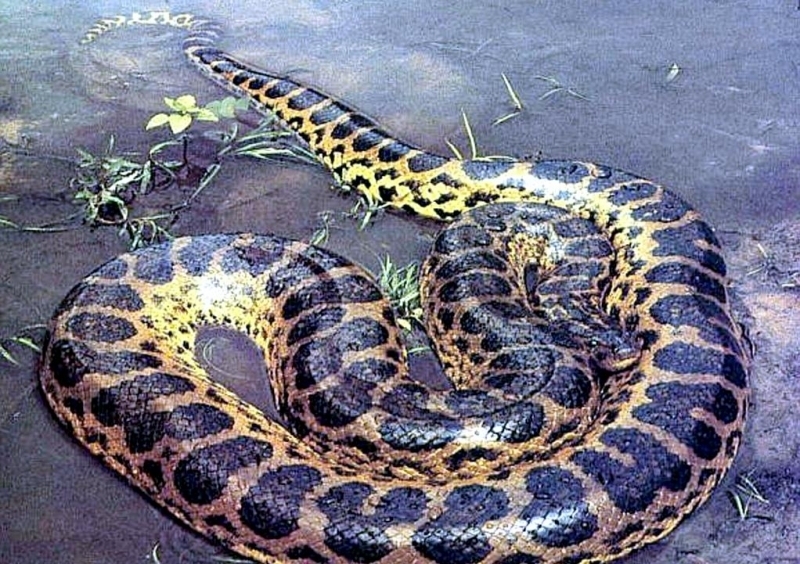 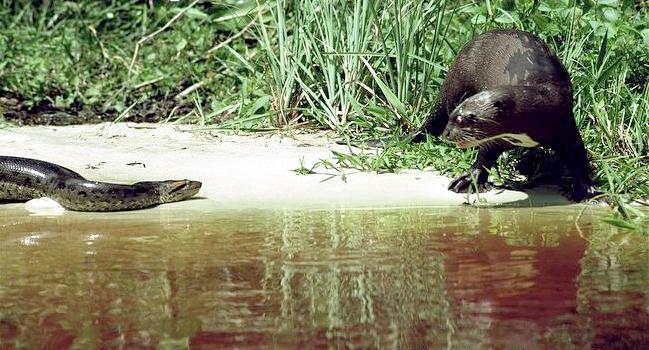 Pigs, deer, caiman, birds, fish, rodents (like Capybara and Agouti), ducks, ponies, goats, turtles and other animals form the food of Anacondas. 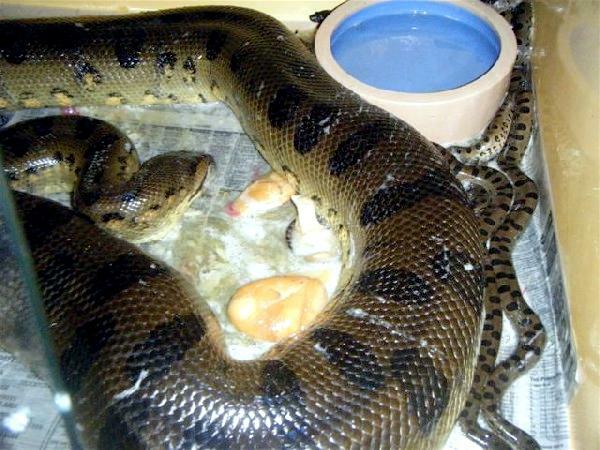 Conversely, baby Anacondas feed on comparatively smaller aquatic prey, such as frogs, toads, hamsters, mice, rats and fish. 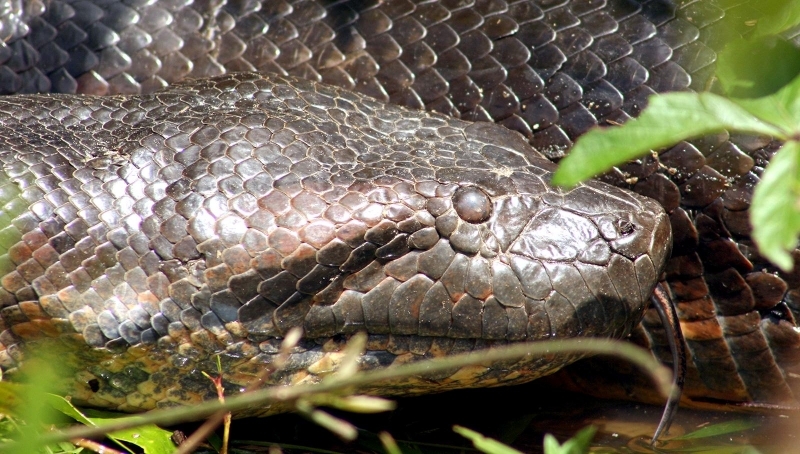 The entire body of Anaconda is covered with scales with the exception being cloaca. 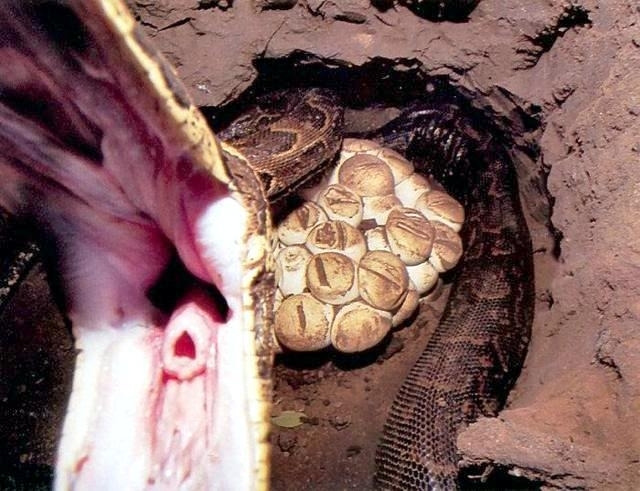 Glands in the cloaca emit a foul-smelling musk, which acts as a poisonous insecticide for small organisms like ticks & leeches and prevents them from festering. 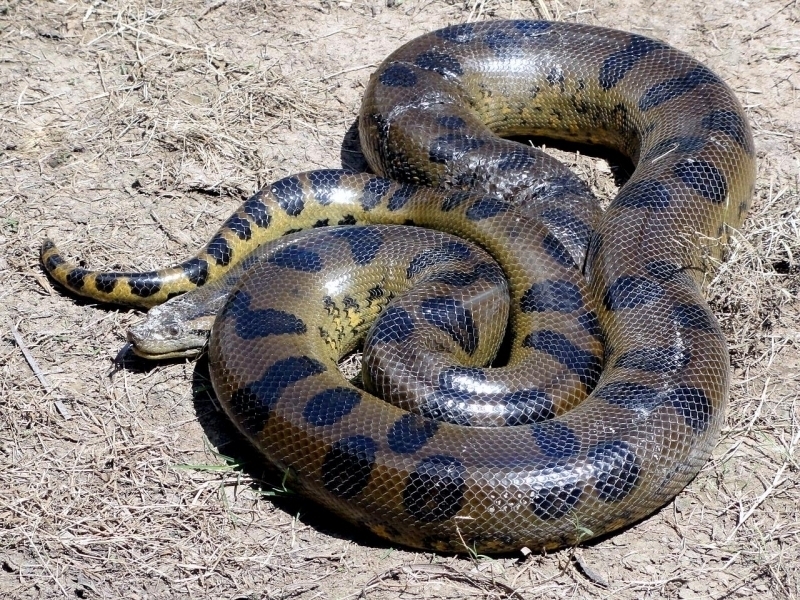 The female Anaconda is larger than its male counterpart. 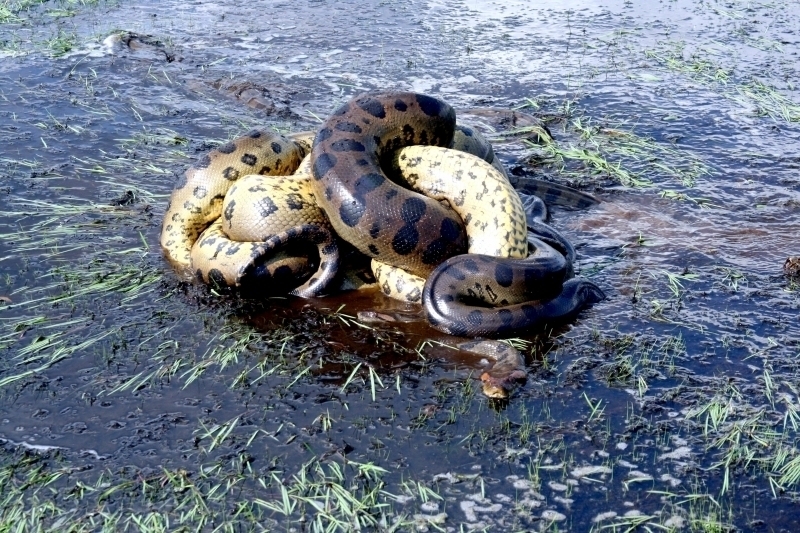 In some recorded cases, female Anacondas prey on a smaller male. 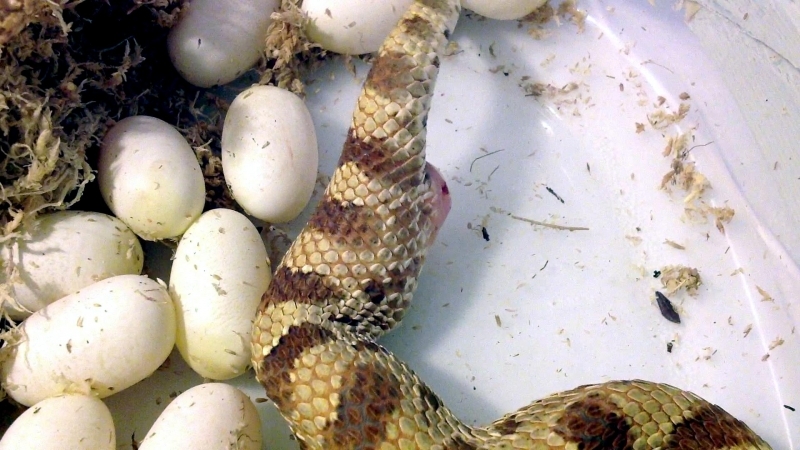 During mating season, as many as 12 males try to mate with a single female at the same time, the resultant being an odd cluster known as breeding balls. 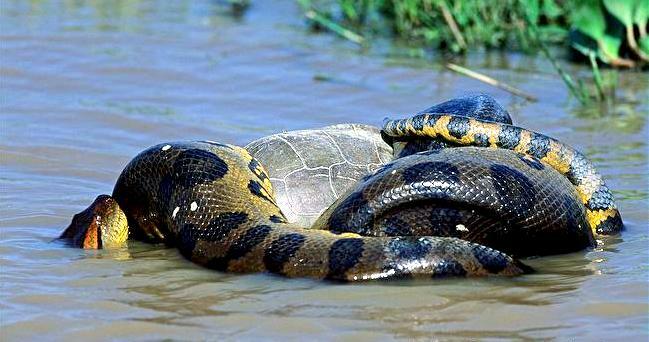 The mating process of Anaconda can stretch for as long as 2 to 4 weeks. 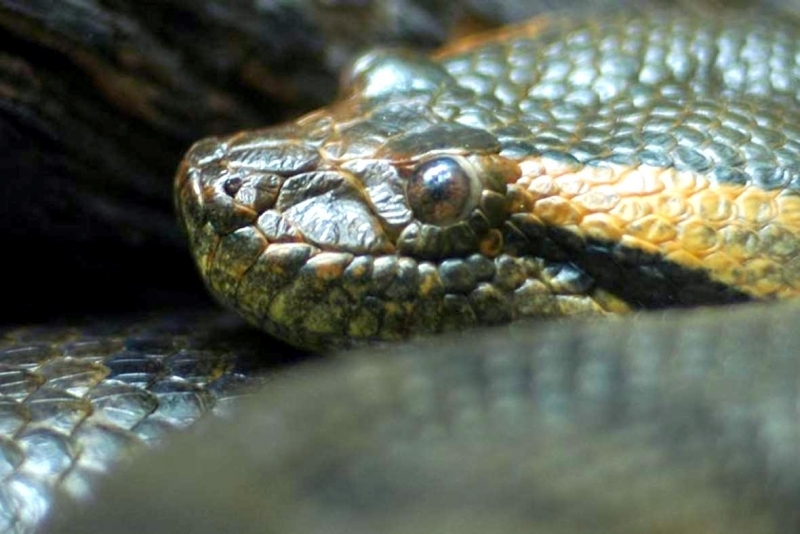 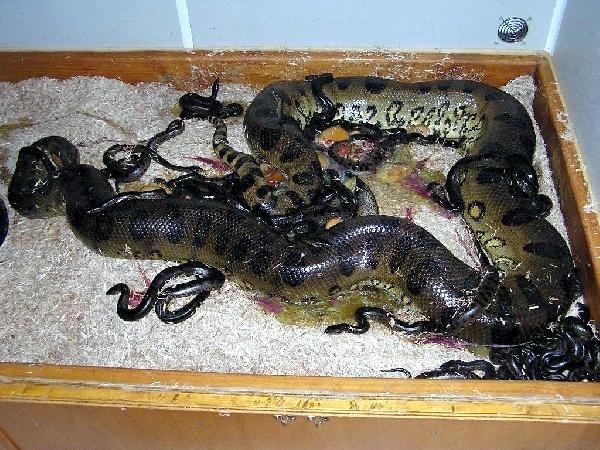 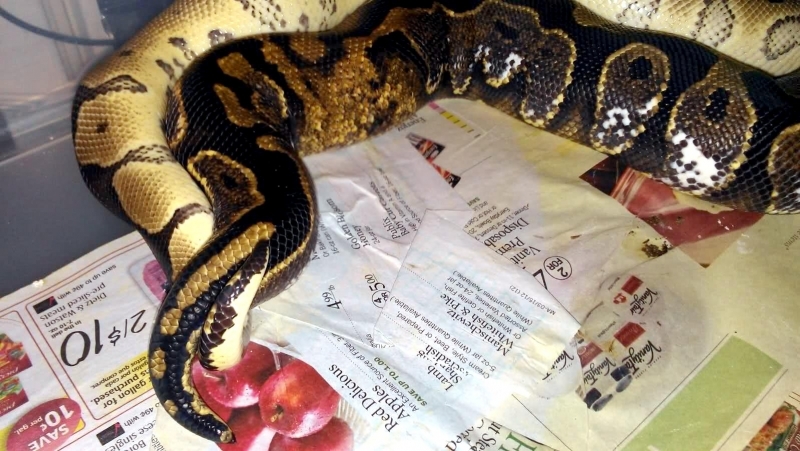 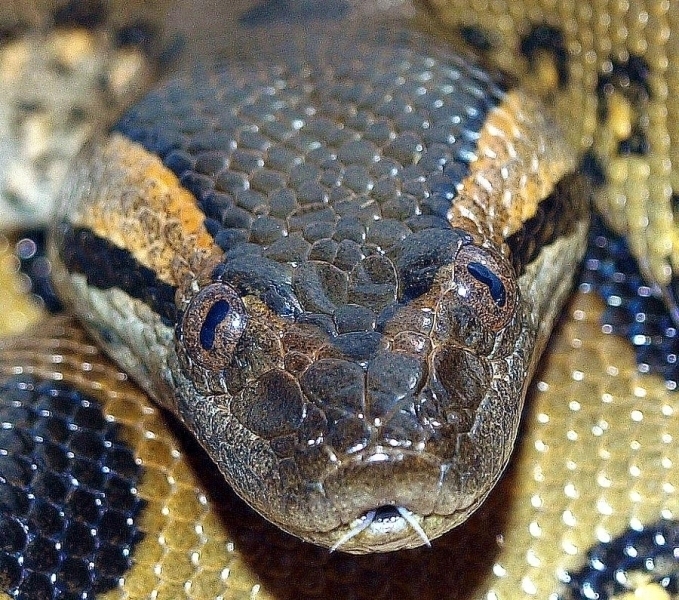 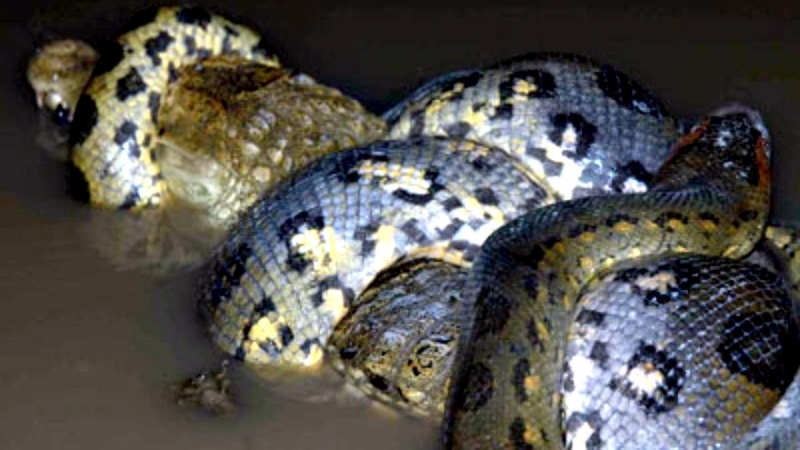 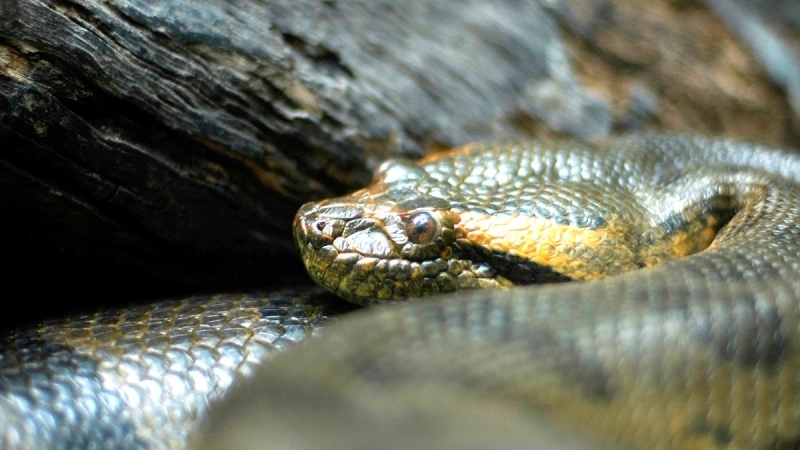 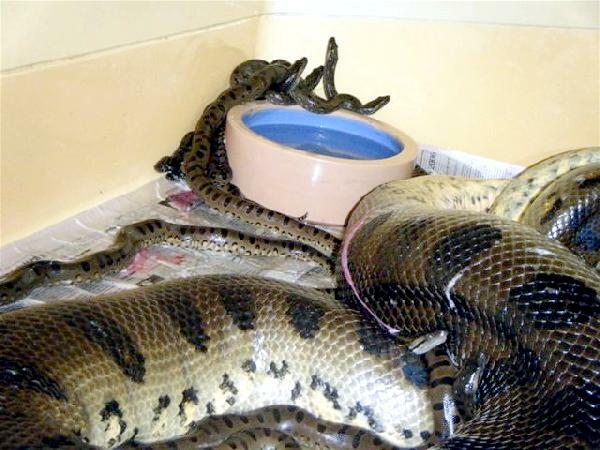 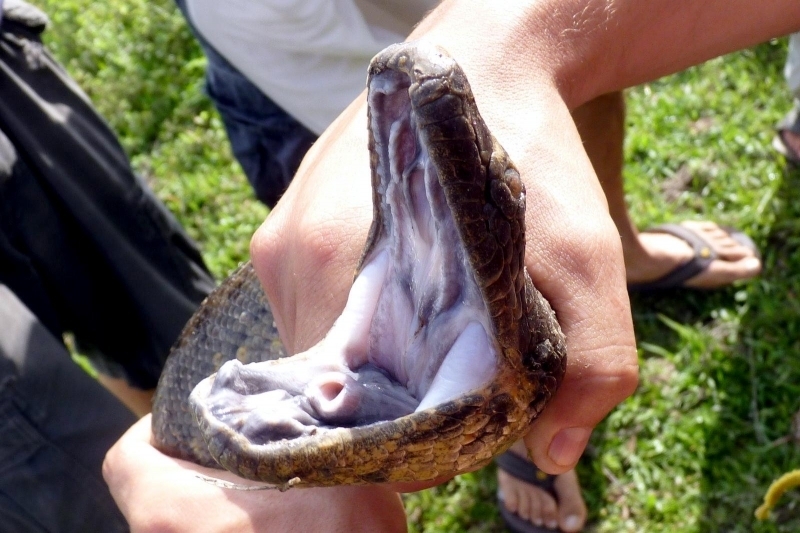 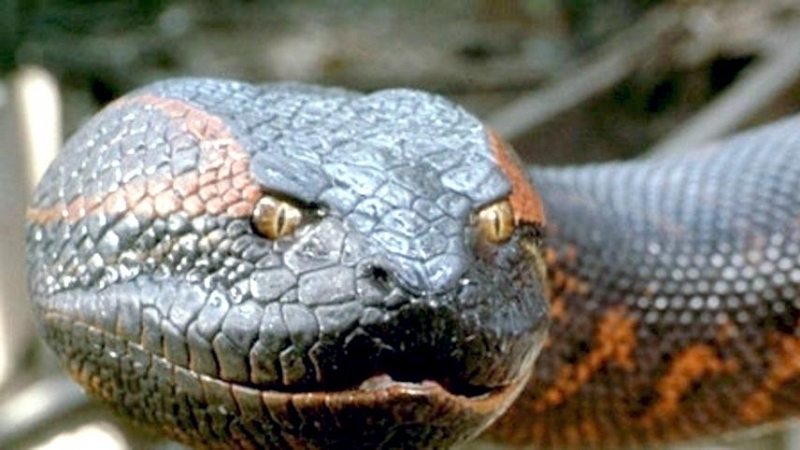 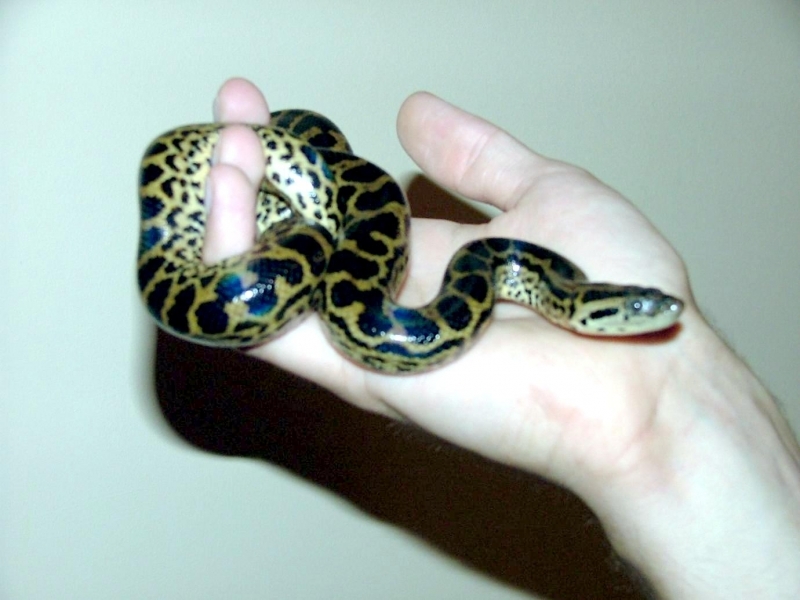 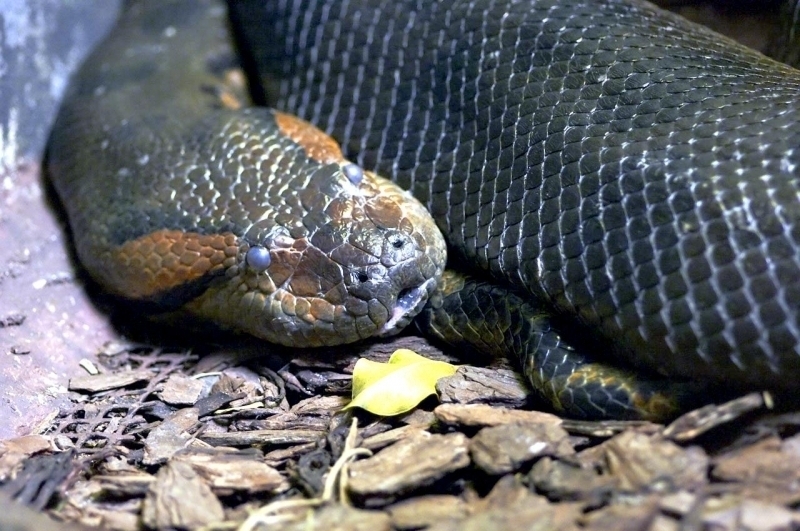 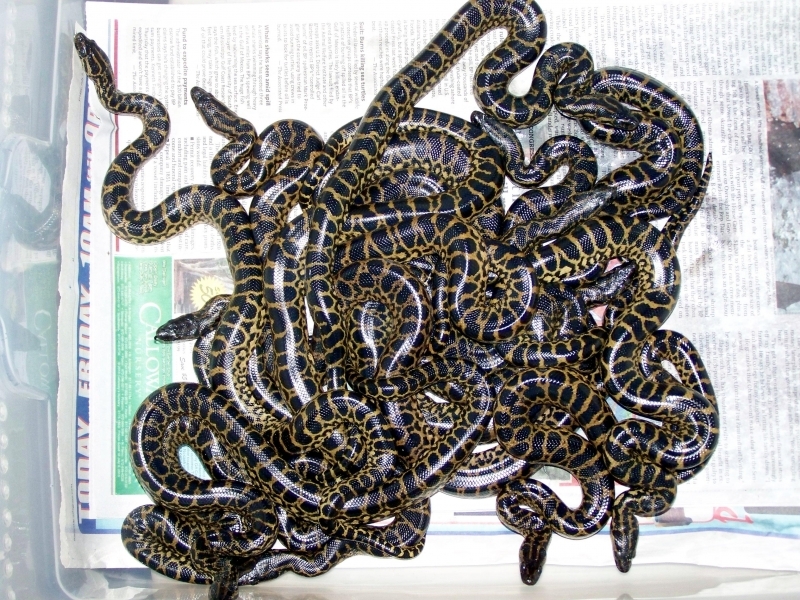 Like all boas, Anacondas do not lay eggs; instead, they give birth to live baby snakes. 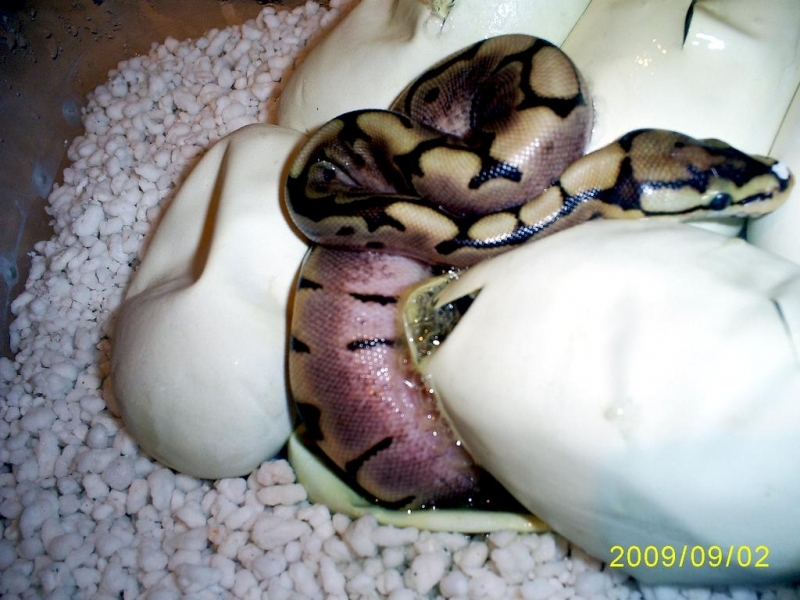 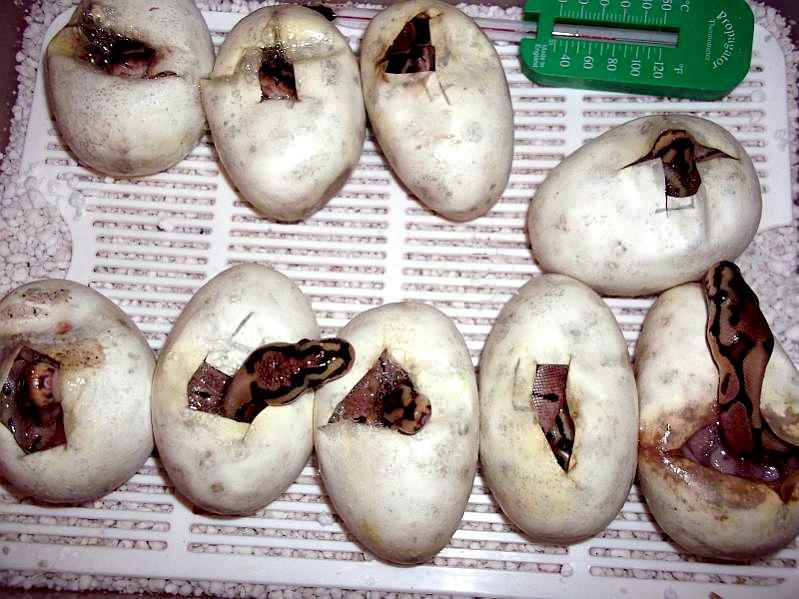 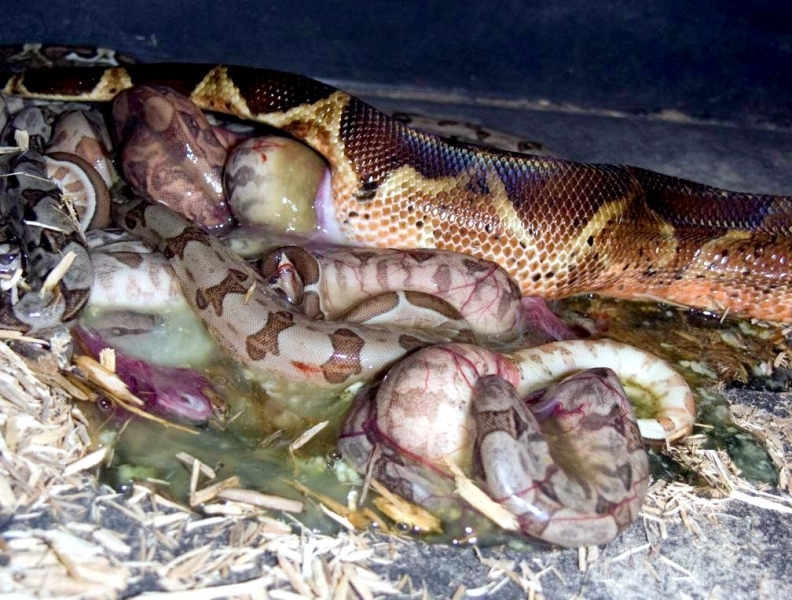 Young baby Anacondas develop in their mother’s body attached to a yolk sac and enclosed by a clear membrane. 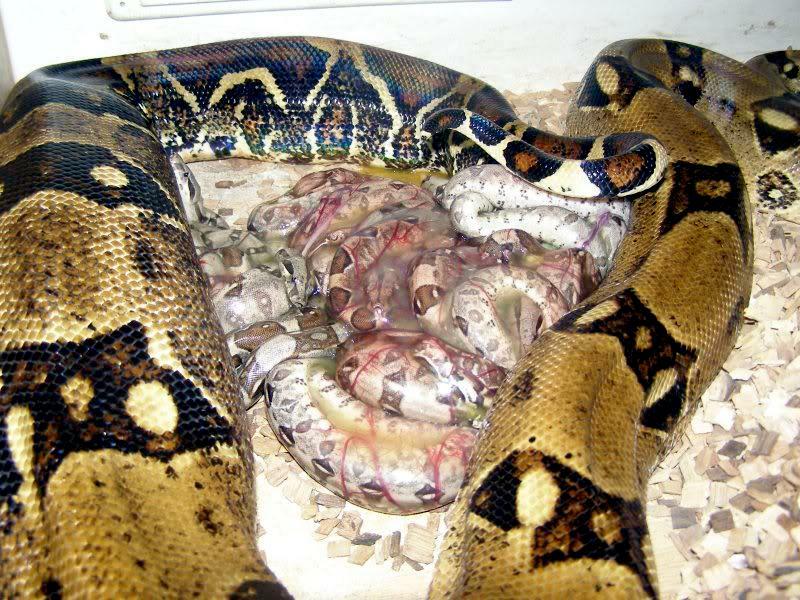 When the mother is ready to give birth, she exerts pressure and pushes the babies out of an opening called the cloaca. 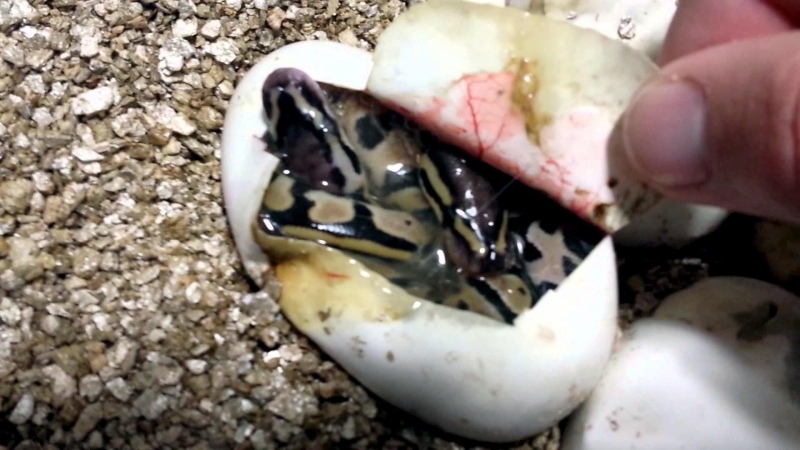 The newborns are born surrounded by a protective membrane wrapped around their bodies and break it open in order to breathe. 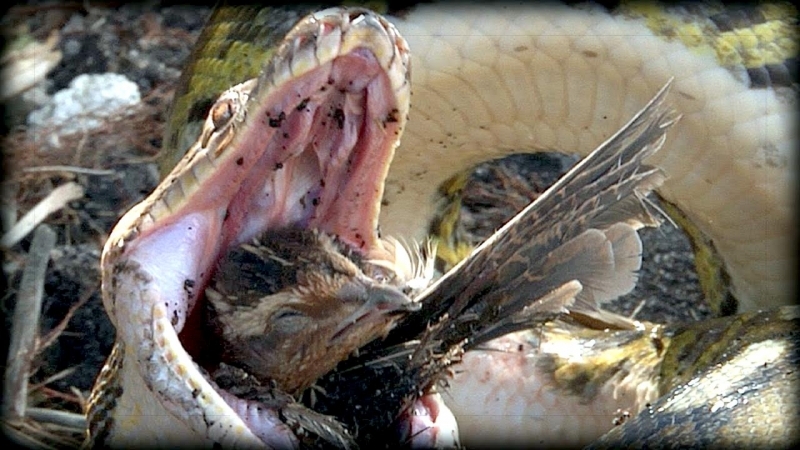 As soon as young offspring are born, the mother moves away from them and they are left to fend for themselves. 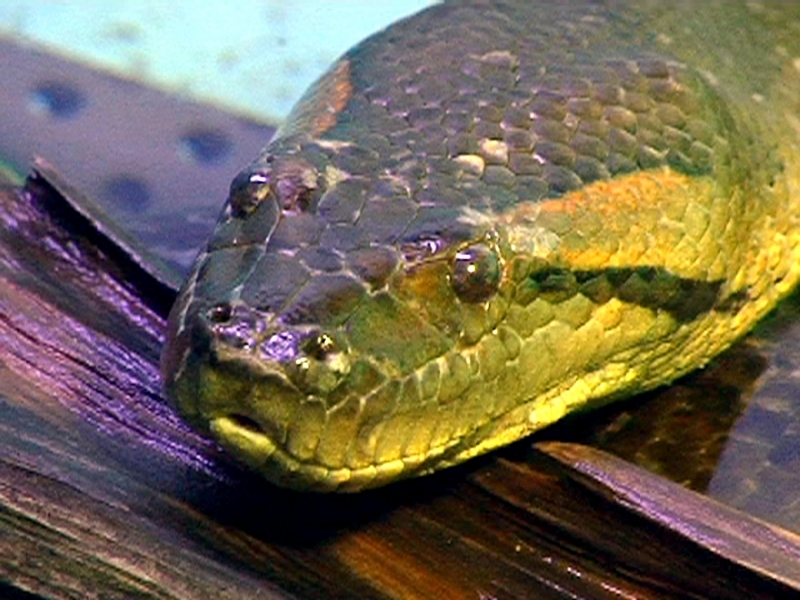 Born at 2 feet long, baby Anacondas are capable of swimming & hunting for their prey immediately after birth. 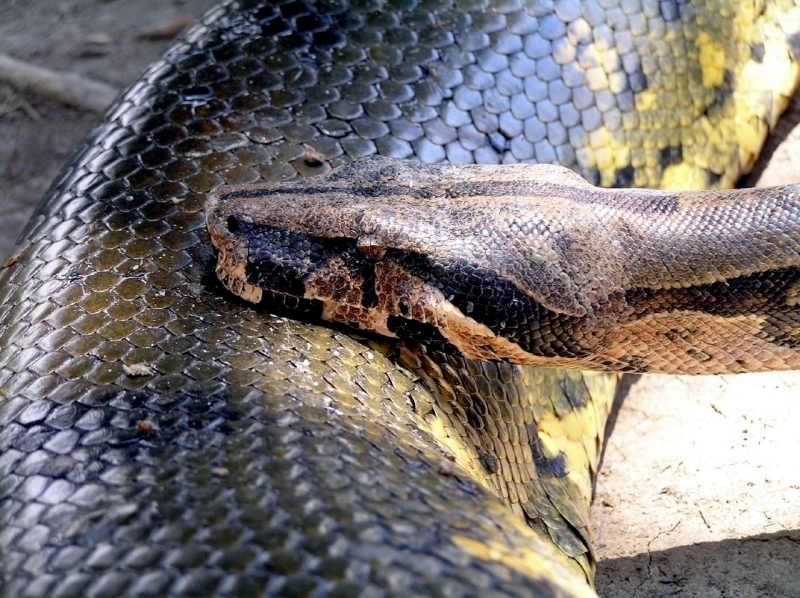 Anacondas can control & regulate their body temperature by changing the amount of skin surface exposed to the sun.